From a recent study of US financial institutions, over the years, Apps have improved in form and function in addition to providing new services to address business opportunities and evolving Customer needs, upsell / cross-sell services / products to increase brand value and Customer stickiness, attract new customers, etc. In conjunction with this, rising User expectations, the ability to further move to User self-service, etc. – there is high awareness in the financial services industry that a significant presence in mobile is critically important to improving business outcomes (ie: additional revenue, more profit, increasing brand profile and relevance in the strategically important mobile market, realizing competitive advantage, providing greater convenience and ease of doing business for Customers, having higher margin services, etc.). 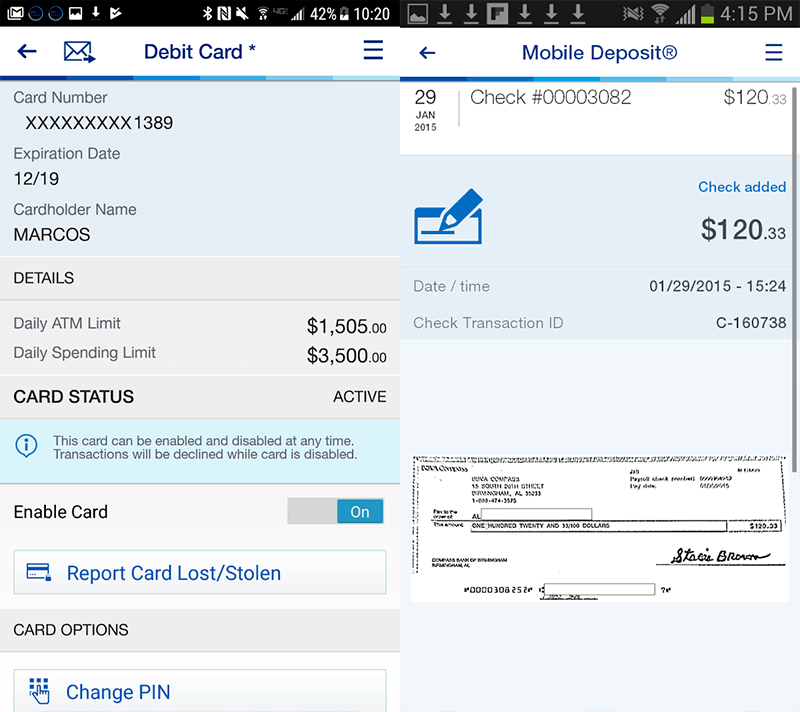 As a result, recent additional capabilities in mobile include – ” Alerts ” from Banking Apps are a common feature ; most Apps, if the bank offers a credit card account, will show your current credit score ; some banks enable you to make ATM withdrawals through their App (without a bank card), etc. Best Overall App : Discover with a score of 4.8, up from 4.2 in 2016. Best Apps Among the 10 Largest Banks : Chase and Capital One both scored 4.6. Worst App Among the 10 Largest Banks : BB&T with a score of 3.0, improving from 2.8 in 2016. 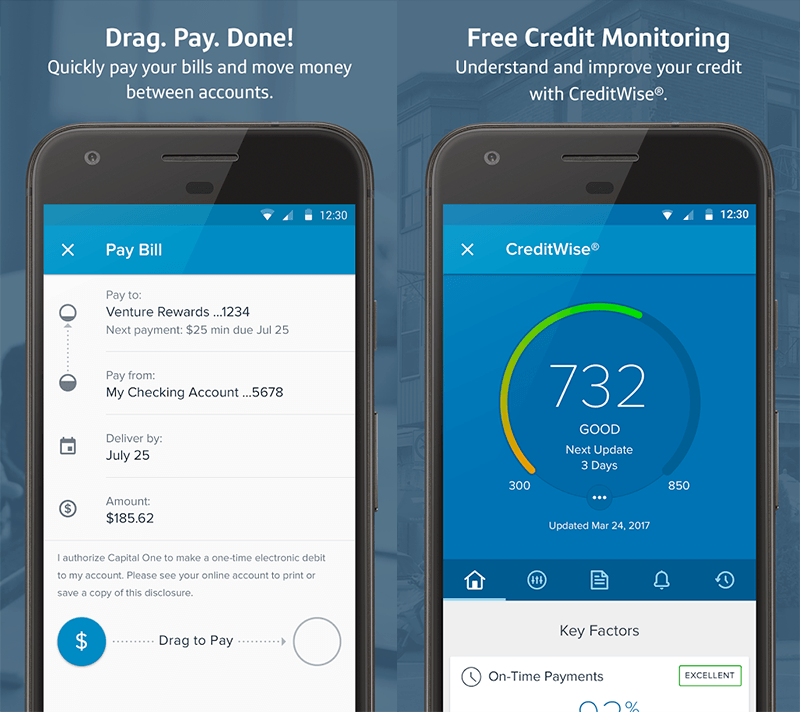 Best Apps Among the 10 Largest Credit Unions : SchoolsFirst, PenFed, Alliant, BECU and America First all scored 4.3, well above the average of 3.7 for all credit union apps. Worst App Among the 10 Largest Credit Unions : Star One with a score of 3.2, down from 3.3 in 2016. 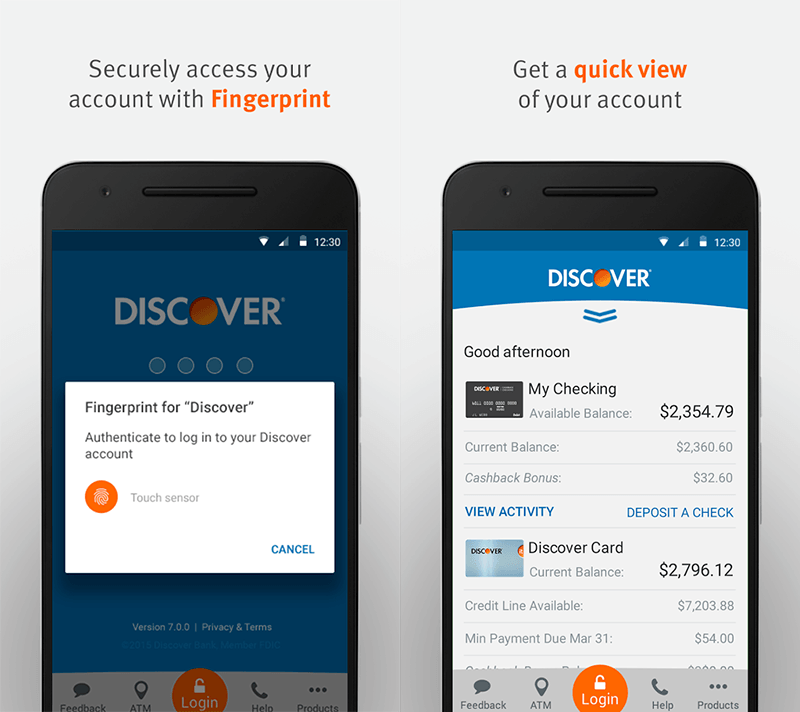 Best Online Direct Bank App : Discover Bank with a score of 4.8, up from 4.2 in 2016. Worst Online Direct Bank App : Ally Bank, with a score of 3.4, improving from 3.1 in 2016. Overall Most Improved App : First Tech Federal Credit Union, with a score increase of 122% year over year, from 1.9 to 4.2. Most Improved Traditional Bank : Umpqua Bank, with a 30% ratings increase year over year, from 2.3 to 2.9. Overall Most Deteriorated App : First Tennessee, whose score dropped 40%, from 3.5 to 2.1 year over year. While Discover tops the list with a weighted overall rating of 4.8, four of the Banks had Apps with a rating of less than 4. Still, nearly all the Mobile Apps in this category saw a modest improvement in User satisfaction from last year. Apart from laggard BB&T, the Apps of the 10 largest Banks were rated better than average by Users, which is quite a feat when you consider that many of these Mobile Apps, like Wells Fargo Mobile and Citi Mobile, not only offer savings, checking and credit card accounts, but also more complicated products like brokerage accounts and holistic personal finance management programs similar to websites like Mint.com. Discover has managed to keep the more than 1 million people who have used its App relatively content. Part of its success may lie in serving more credit card-only users than Mobile Apps from other large Banks, which tend to have customers primarily using Apps for more traditional checking and savings accounts. Nonetheless, its score of 4.8 is the highest of any institution in our rankings this year. Last year, credit unions monopolized the highest rated App list, when all but one name was a credit union. But this year, Credit Unions share the stage with two Traditional Banks and an Online Direct Bank. Capital One and BBVA Compass were also ranked highly by App Users. Overall, Credit Union customers (shareholders, in Credit Union terms) tend to be happier than those who use traditional Banks – in various areas, including Mobile Apps. Interestingly, 5 of the 10 largest Credit Unions have the same overall score of 4.3 – which is not surprising as the interface of many Credit Union Apps are from the same software developer ! From this, it’s clear progress is being made to realize the significant benefits associated with the “convenience of Mobile ” and the ” power of Apps “. And with Mobile Apps being an important outcome from ” Business Innovation ” initiatives, the associated metrics are an indicator of progress on the ” Organization Transformation ” journey. Methodology – Based on User ratings for Mobile Apps of the 50 largest US Banks and the 50 largest Credit Unions in both the Apple App Store and Google Play. Ratings are also provided for the Mobile Apps of 10 top online direct banks (banks without brick-and-mortar branches). No App had a weighted rating of fewer than 2.0 stars overall, and only 7 of the 110 banks and credit unions had a rating that fell by 10% or more from 2016. Ratings have been rounded to the nearest tenth. App ratings were recorded the week of Nov. 15, 2017 in the Google Play and Apple App Stores, and include ratings for all app versions. Overall ratings are a weighted average, rounded to the nearest tenth, of iOS and Android ratings based on the number of reviews for each platform. Institutions with no mobile apps were excluded from ranking summaries. The 50 largest banks, defined as those with the largest deposits per FDIC data June 2017, were examined. Those not offering consumer checking accounts were excluded. The 50 largest credit unions by assets according to the CUNA in September 2017 were examined. For online direct banks, and 10 of the largest online direct banks were chosen by number of app ratings.